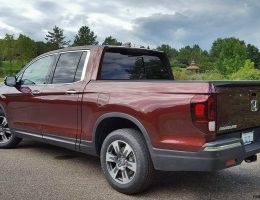 The race for supremacy in the mid-size SUV segment has never been as hotly contested as it has been over the past few years. 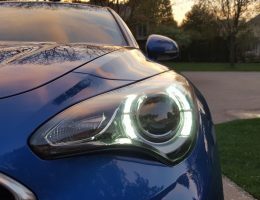 A strong push in sales and a rapid shift in demand from U.S. customers has forced many automakers to step up their game in catering to the ever evolving needs of a new generation of families. 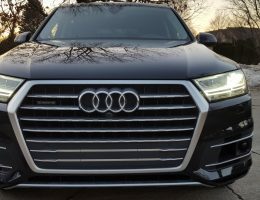 But can even benchmark entries standout against a growing pool of mid-size SUV offerings? 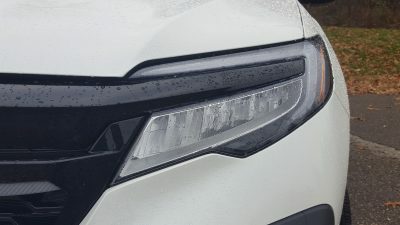 To find out, we spent some time with the 2018 Honda Pilot to see if this venerable Honda can still maintain its winning ways in this key segment. 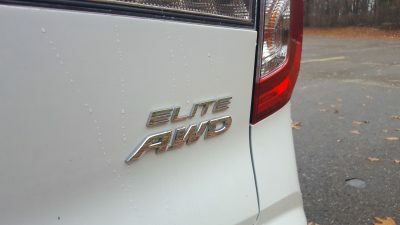 The exterior styling of our Elite grade tester will not win any awards for its dynamic lines nor its athletic inspiration, but the Pilot is still a very good representation of function over form. 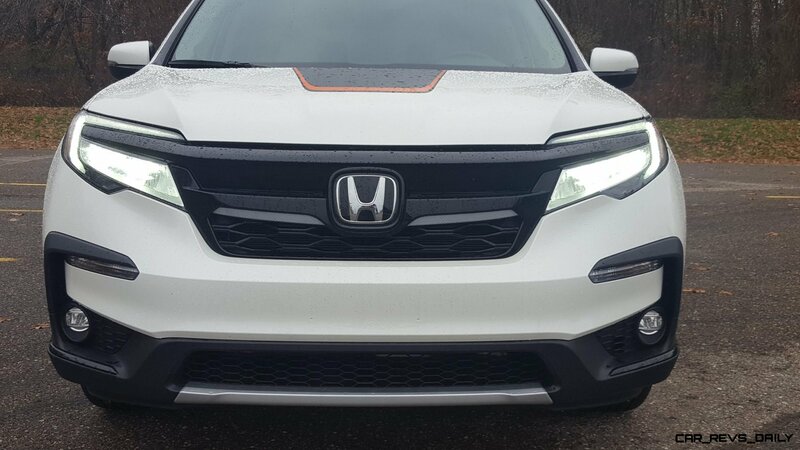 The White Diamond Metallic paint that adorned our tester looked handsome in the sunlight, and did a commendable job meshing with many of the Pilot’s lines. The front fascia was tweaked for 2019, and brings new headlights as well as a lightly tweaked grille into the equation. 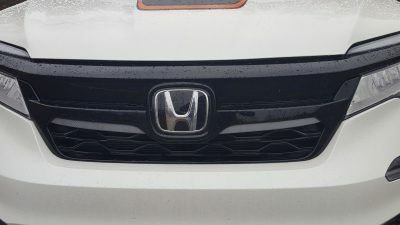 It reminded us of the bold grille design that adorns the current generation Civic, but here on the Pilot, it looked awkward from certain angles. 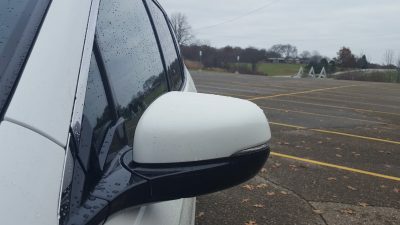 The side profile of the Pilot transitions into the relatively inoffensive rear end, which features slick taillights and an otherwise bland liftgate. 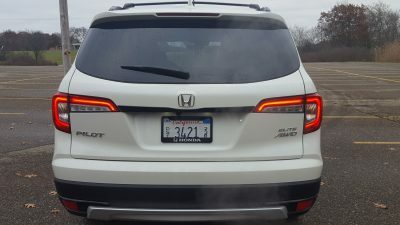 For 2019 Honda moved the reverse lights into the actual taillight clusters versus their former location on the rear bumper. 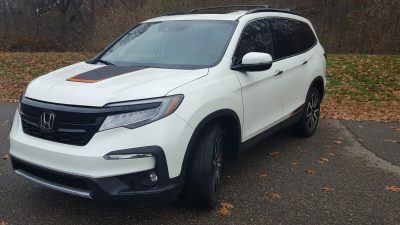 Honda is clearly trying to make the Pilot look a bit more rugged than before, and while the jury is still out on that claim, the nip and tuck does give a bit of freshness to the Pilot’s lines that is most welcomed by many. 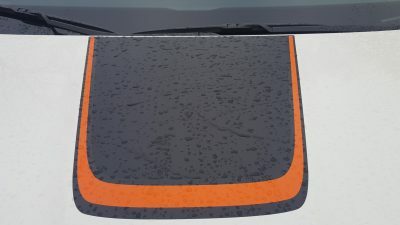 Our tester also featured an optional graphics package that adorns the hood, the lower parts of the rear doors, and even the rims in orange and black decals. 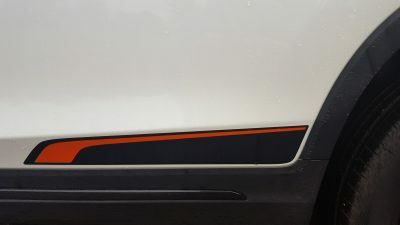 They were certainly an interesting addition, but we suspect that our Pilot was involved in an accident at some point in its career, since a sticker was noticeably absent on one rear door on the passenger side. 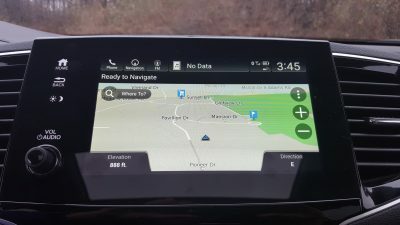 This threw off the overall look that the graphics were trying to achieve, and made our Pilot look a bit awkward stylistically. 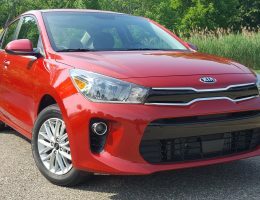 That minor styling misstep aside, our tester still manages to standout against rivals such as the Kia Sorento, Toyota 4-Runner, Ford Explorer and the Chevrolet Tahoe. 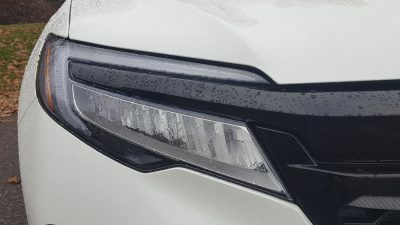 However, the Pilot still loses out against more stylish entries including the Nissan Murano, and the stylish Mazda CX-9. 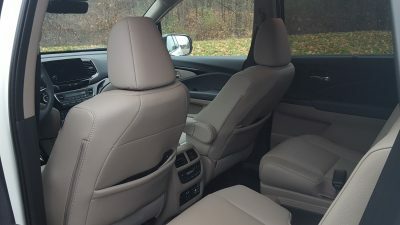 The interior of the 2019 Pilot has also seen its fair share of changes, but folks looking for a radical rethink will not find it here. 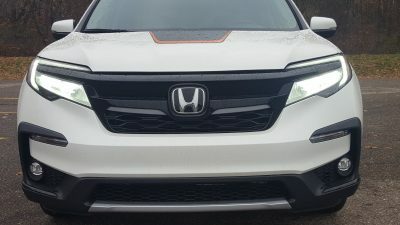 Instead, Honda designers opted to keep the core elements that are already a big hit with customers. 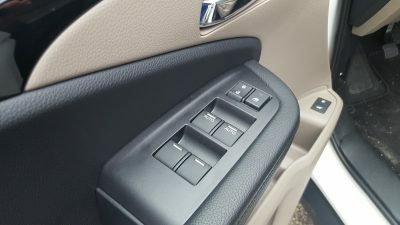 The layout is functional, but it looks well put together, with high quality plastics, leather, and other materials really adding a dash of polish to our Elite grade tester. 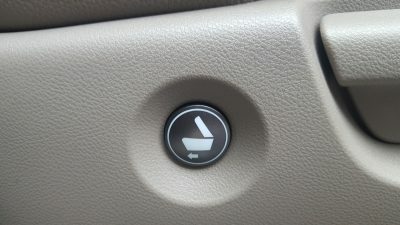 Seating in our tester was pleasantly comfortable, with plenty of head and legroom. 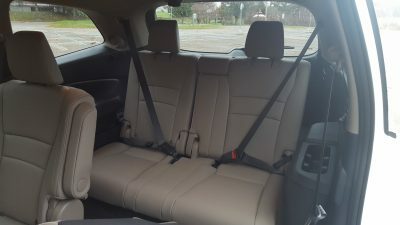 Second row passengers also benefit from healthy amounts of legroom, but leave the tiny third row for hauling small children, or do what we did and fold it down for enhanced cargo capacity. 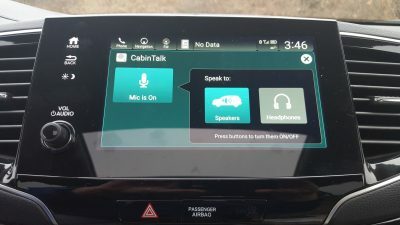 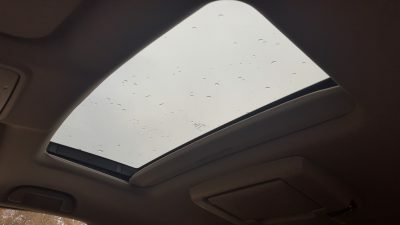 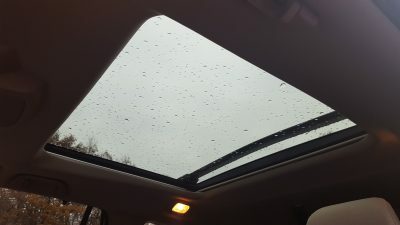 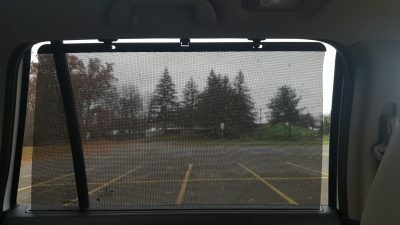 Visibility was good all around, and the Pilot gains the same CabinTalk feature that the Odyssey minivan has, with the front seat occupants being able to communicate to rear seat passengers via a microphone which is hooked up to the rear speakers. 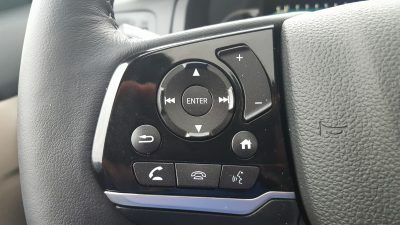 Clever occupants thinking that they can tune out mom and dad with the available headphones are out of luck here, with CabinTalk actually being able to work through those speakers as well. 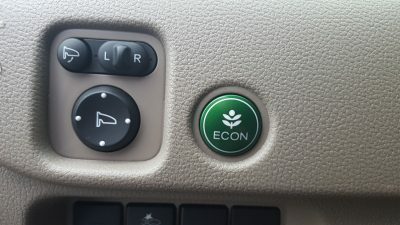 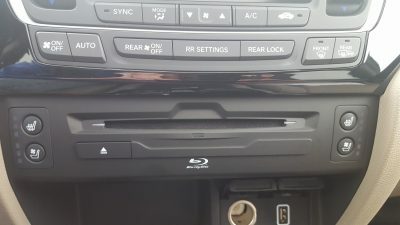 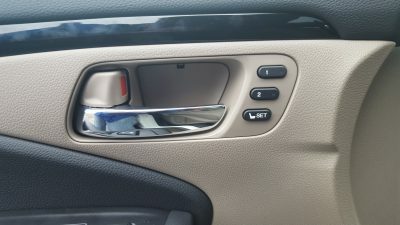 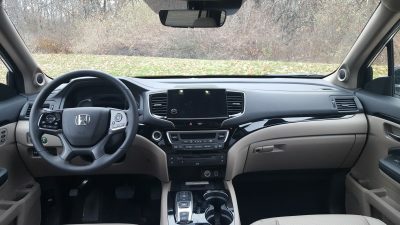 Honda gave the Pilot’s infotainment system a physical volume knob for 2019, but the system is not the same unit found in the Accord, and as a result lacks that iteration’s satellite buttons. 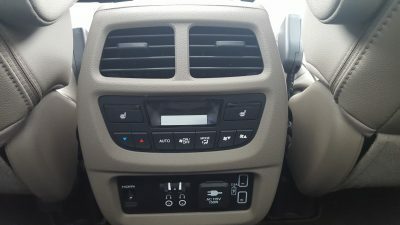 Instead, it is from the Odyssey minivan which means it is still a predominantly touch based affair when operating it. 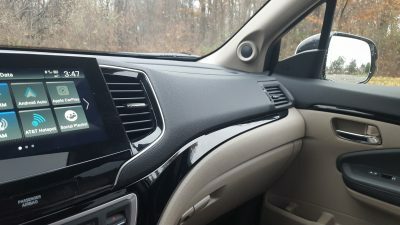 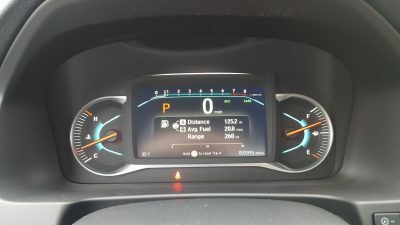 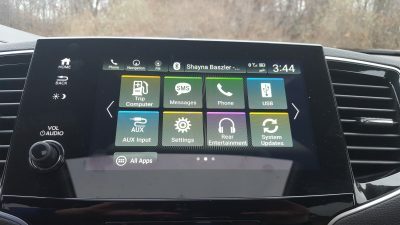 While new software revisions have made the infotainment system much more responsive than the old unit that it replaces, the system is still not the most intuitive one that we have ever used. 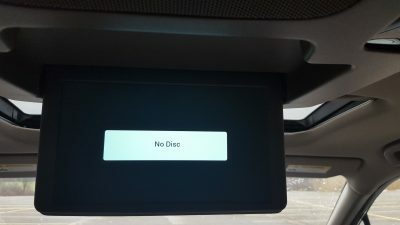 This predominantly shows up in the occasional bouts of lag that we experienced, as well as some of the excessive steps required to access select features. 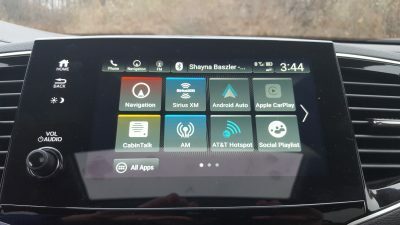 On the flip side, we do like the sharp graphics, and the logical placement of some of the menu icons on the screen, which made them easy to find. 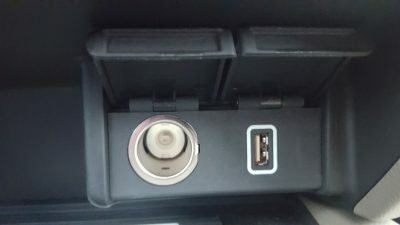 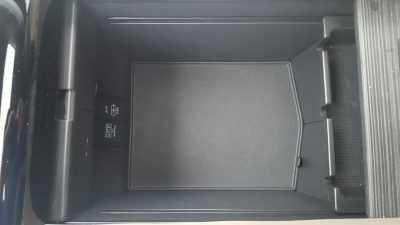 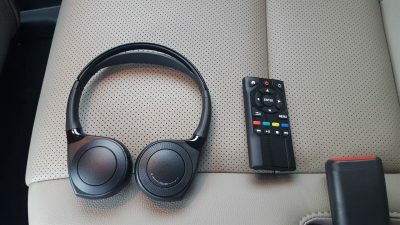 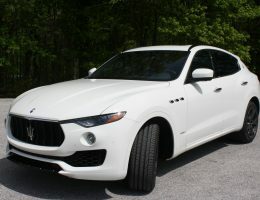 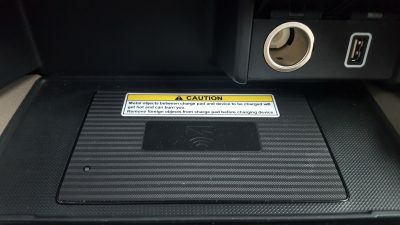 Occupants also have the ability to charge their mobile devices from a wide range of sources including a wireless charging pad and USB ports for the front occupants, as well as a separate set of USB ports and an AC plug for second row occupants. 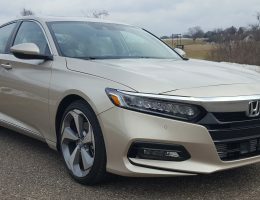 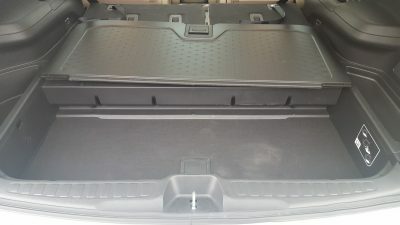 Lastly, Honda made its Honda Sensing Suite standard fare on all Pilot models for 2019, with our Elite model arriving loaded to the gills with an arsenal of driver assistance equipment. 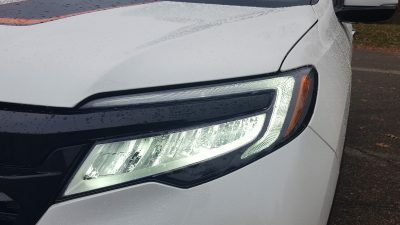 Naturally, prices for all trims do go up slightly when compared with last years model, but considering the increased levels of safety drivers get with features such as adaptive cruise and lane keep assist, this is actually a very compelling bargain for many buyers. 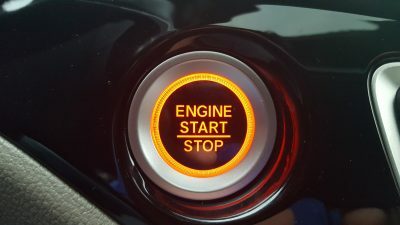 With all the updates that have taken place on the Pilot for 2019, it’s no surprise that the bulk of the performance hardware carries over unchanged. 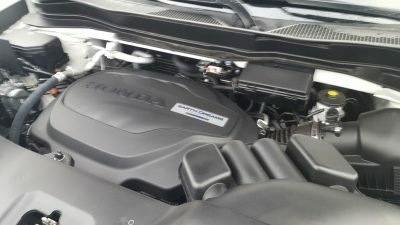 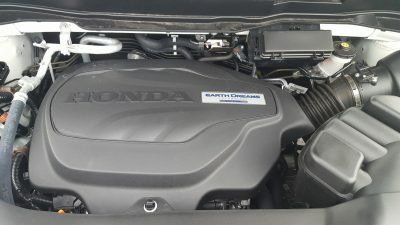 Honda’s 3.5 liter EarthDreams V6 is still present and accounted for, but its 280 horsepower is starting to look relatively mild when compared to a number of models that either eclipse this number with their engines, or go over the 300 horsepower barrier outright. 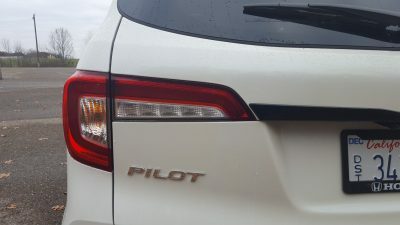 The V6 is a smooth operator, and gives confident acceleration in many kinds of commuting with the Pilot being one of the quicker entries in its segment. 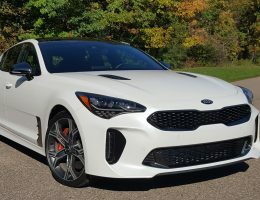 However, it is a stretch to call the driving experience enthusiastically inspired (despite the best efforts of the graphics package to suggest otherwise.) 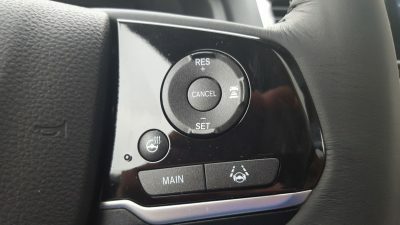 Handling in our tester was also very floaty, with the lifeless steering delivering good responses, but very little feel in return. 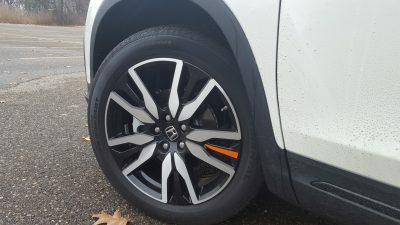 The floaty vibes do bring one benefit though, with our tester being able to nullify many of the bumps and divots that dotted our commute including a trip to Chesterfield to see a friend. 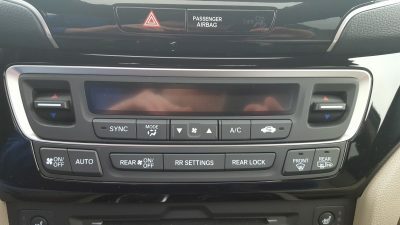 But while the Pilot might appear to come up short in this regard, Honda engineers have addressed a lot of the flaws with the nine speed automatic transmission in this model, and as a result, it is arguably the best thing we liked about driving the Pilot around town. 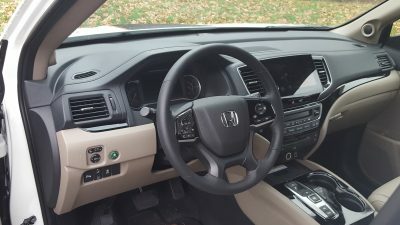 The sluggish shifts and the abrupt transition between first and second gear are gone, with Honda engineers actually making the Pilot start in second gear in most situations versus relying on the short first gear to do this. 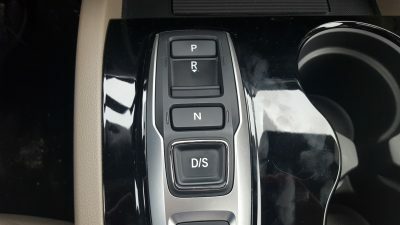 The result is smoother tip in and much of the delay in downshifting has been nullified. 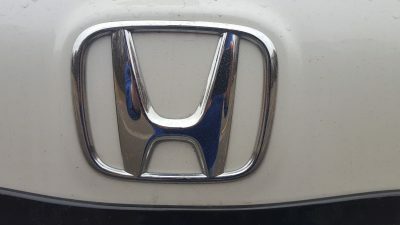 Honda also tweaked the start/stop system to be less abrupt, which was due to altering the timing between brake pedal application and the time of the engine’s restart sequence. 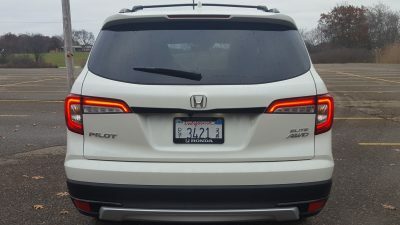 Pricing for the 2019 Honda Pilot lineup is still a pretty potent trump card for the Pilot, with base models starting at $31,450 for the base LX model. 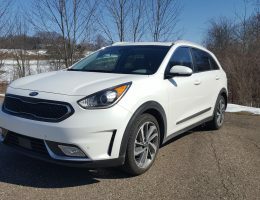 The price gradually creeps up from here before finally landing at the $48,020 range topping Elite model. 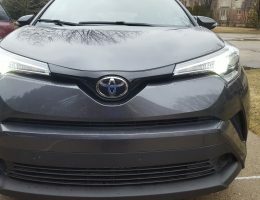 Our lightly optioned tester had a final MSRP $49,015 which included the $350 graphics package, and this means its on the higher end of the segment. 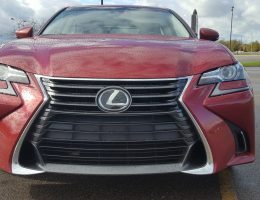 If we were shopping for a Pilot, we would focus the bulk of our attention on the $37,760 EX-L and the $42,250 Touring model. 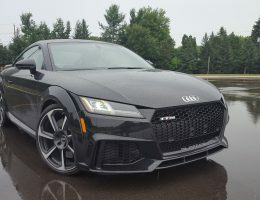 Both of these models have the best potential for good long term value, and the Touring model also comes equipped with the fore-mentioned nine speed automatic (other Pilots come equipped with a six speed automatic.) 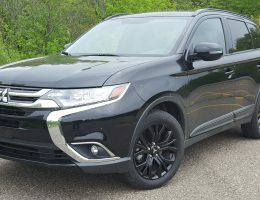 This pricing also puts it right in the cross hairs of some of its rivals, including the Toyota Highlander, Chevrolet Traverse, and even the Subaru Ascent. 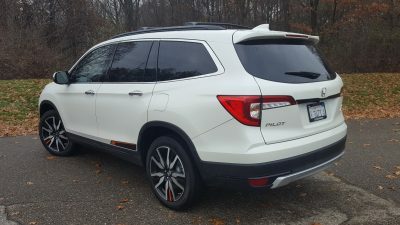 At the end of the day, the 2019 Honda Pilot is still a very competitive three row mid-size SUV. 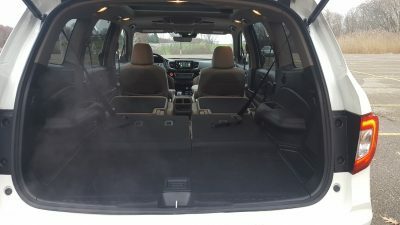 While it does draw occasional comparison to the Odyssey minivan (much to the chargin of Honda reps.) It still manages to fufill its role as a reliable family hauler but in a distinctively different way, and this distinctiveness allows it to still be a viable contender in a rapidly changing segment.